It seems like forever since I have done a wine review! These are some of my favorite posts because I get to be completely honest with you all about wines that I have tried, and who doesn’t love to talk about wine? 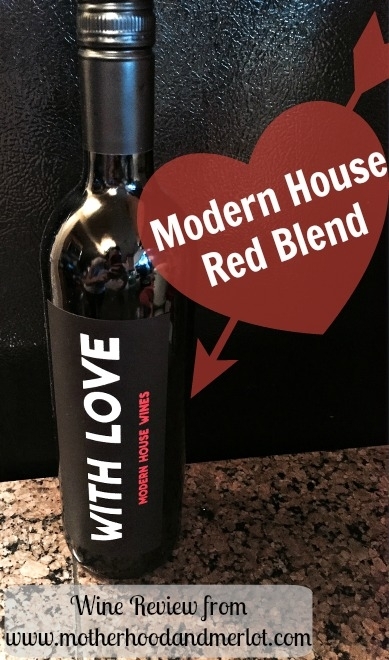 This week’s review is on a red wine that is available at Target. I actually won this at a bridal shower, which is funny due to the fact that I was the only pregnant one there and because I am a wine lover. All of the wine bottles in this line have different labels, such as “Expensive”, “With Love”, and “Here’s to You”. The “With Love” was obviously fitting for the bridal shower I won it from, but they also had it on display for Valentines Day. They are all the same red blend that I am reviewing today. It is a blend of Cabernet, Merlot, Zinfandel, Syrah and Petit Syrah and sells for around $10.99 at Target. Smell: A fruity, berry scent combined with a hint of chocolate notes and vanilla. Taste: There are many rich flavors to this wine including blackberry, plum, ripe strawberry and a lovely hint of vanilla. It finishes with a hint of tartness from what tastes like cranberry, but a very smooth and lasting flavor that lingers. This wine was surprisingly delicious for the price. It tastes like a high quality wine, but you don’t have to pay the inflated price. This is the perfect wine if you really enjoy Cabernet’s, but you don’t have to love those to enjoy this red blend. For the price, quality and enjoyment level, I would give this wine a 4.5 out of 5. Without hesitation, I would recommend that you try this wine. I plan on purchasing this wine again for myself, as well as finding the bottle that is labeled “Expensive” and bringing that as the next house-warming or dinner party gift I need. I loved your description of the smell…makes me want to go get a bottle because that sounds amazing! I def want to try this and it is a fun bottle to bring to parties! Adding this one to my “must-drink” list!